Why does RecoverYES charge for its services? The programs and services at RecoverYES are always being improved and updated as technology changes. The RecoverYES support group meeting facilitators and coaches are trained by us to support you on your recovery journey. 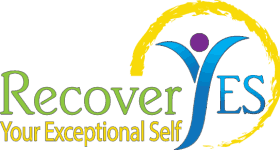 Whether your experience with RecoverYES is in a support group meeting, group coaching program or individual coaching program, trained coaches are there to help you learn how to use the program in specific ways – ways that work for YOU in your own personal situation. When you find yourself having trouble in an area of the program, a coach can be just the push you need in your efforts to make the necessary changes. RecoverYES is designed to be your own personal resource to use 24/7 for feedback and to find out “what’s working” and “what isn’t” where recovery is concerned. The chance to share, anonymously, in a safe and private environment, has been a turning point for many in recovery. ← Why does RecoverYES charge for its services?